After a significant hiatus, UK DJ/producer Jon Gooch has resurrected his mysterious drum & bass alias Spor. Having spent the last few years releasing under his exuberant Feed Me moniker, his new project under Spor is dark, menacing, and enigmatic. 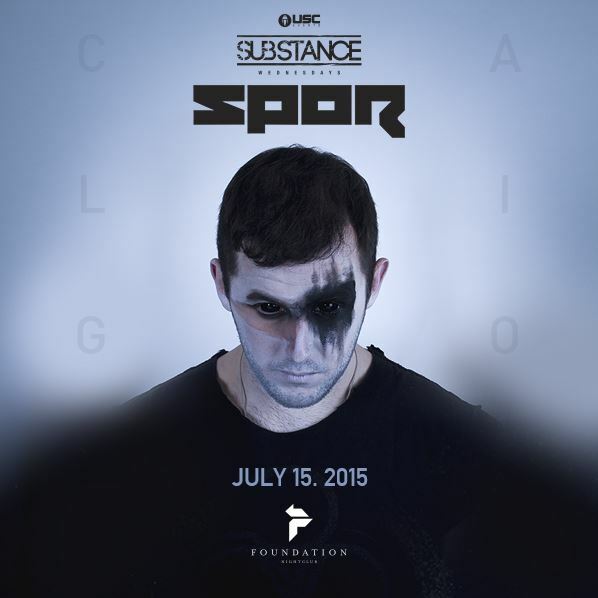 On Wednesday, July 15th 2015, the Spor North American Tour will arrive at Foundation Nightclub in Seattle for SUBstanceWednesdays! Tickets go on sale to the general public on Thursday, April 30th but you can sign up for early access to be the first to purchase fan club presale tickets (on sale 4/29/2015 10am PST). Be ready, this show will sell out. Caligo is available to download for free (or pay what you want) via BitTorrent, or to purchase via iTunes & Beatport.